Published on Fri 20 Dec 2018 at 07:53 in / Blog / by Joe. Tritech Engineering carried out the electrical services element for the refurbishment of The Porterhouse Brewery. The project consisted of the installation of distribution boards, offloader panel, lighting, general services, fire detection, intruder alarm, CCTV and access control. Published on Thu 5 Feb 2016 at 14:05 in / Blog / by Michael. Techcrete is the largest company in the design, manufacture and supply of architectural precast cladding to the UK and Irish construction markets. Tritech Engineering completed the mechanical services installation to the 10,000m2 manufacturing plant including rain water harvesting ring main throughout the production facility, compressed air central plant and distribution, natural gas services to unit heaters, heat recovery ventilation and air conditioning to the office space. Cylon BEMS system. Main Contractor: P Elliott & Co. Published on Tue 31 Aug 2017 at 17:02 in / Blog / by Joe. Tritech Engineering completed a mechanical services upgrade of Hangars 2-5 Dublin airport with PJ Hegarty & Sons. over a two year period commencing April 2010. LTHW system modification & Upgrade. Water & waste services alterations. Published on Fri 20 Nov 2015 at 14:59 in / Blog / by Joe. 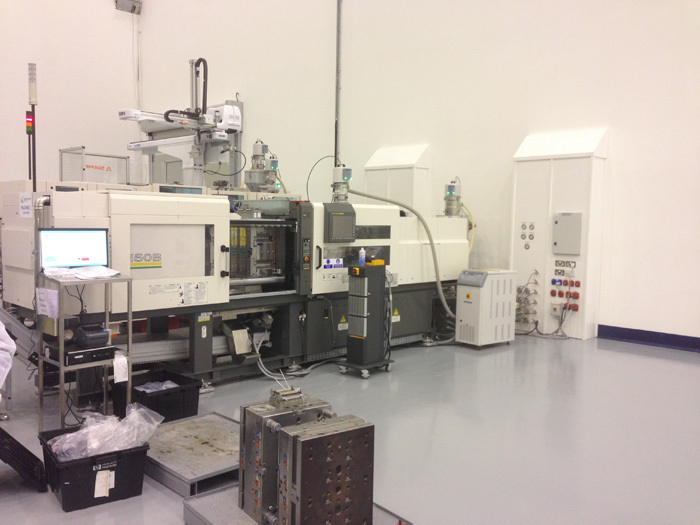 Tritech Engineering was appointed for the process services installation for the plating shop. The plating shop caters for chrome, cadmium & nickel plating, nital etch, heat treatment, machining, NDT and painting services. Process solvent extracts for hot fumes and water vapour produced in the process tanks. Makeup tempered air handling unit. PLC controlled tank lid operation. Gas services to AHU & plating lines. Water services to plating lines & rinse tanks. Published on Thu 5 Sep 2017 at 12:34 in / Blog / by Joe. Tritech Engineering was appointed as mechanical & electrical services contractor for the development of a new manufacturing facility situated on Hewlett Packard’s, Liffeypark Technology Campus, Leixlip, Co. Kildare. MGS Manufacturing Group is a leading global provider of optimized manufacturing solutions for high precision plastic products - with services including: engineering & design, mould making, injection moulding & value-added operations. Phase 1 – Manufacturing hall with services columns for 16 injection mounding machines. Phase 2 – Manufacturing hall displacement ventilation system & 3 story office building. 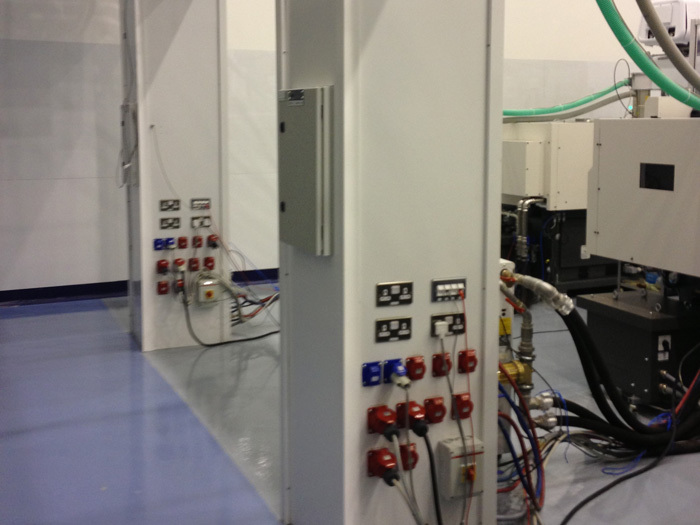 Phase 3 – Extension of the process network including a clean room area. Process CHW, stainless steel grade. VRV Air Conditioning to offices. 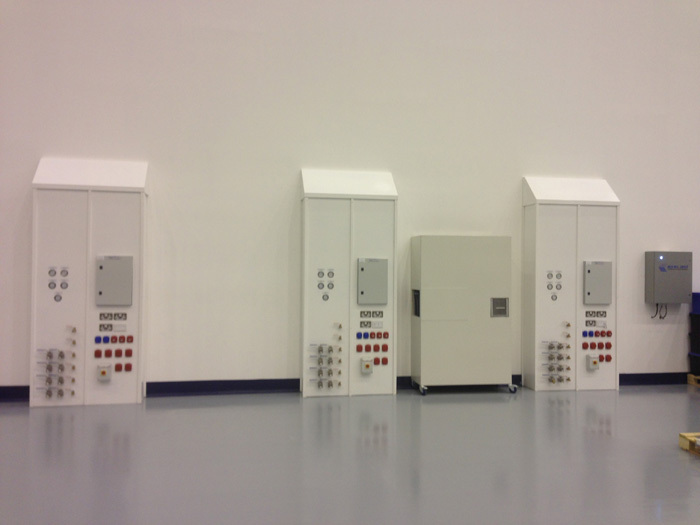 Close control units to comms room. Water & Ventilation Services to offices. Lighting, lighting controls & emergency lighting. You are viewing posts categorised as manufacturing. View all posts. © Copyright 2019 - Tritech Engineering - Clonlara House, Clonlara Road, Baldonnell Business Park, Dublin 22, D22 E973. Tel : (+353) (01) 413 1000 - Email : info@tritech.ieTritech Engineering is a trading name for Aqua Engineering Ltd.